Time for some industry insider stuff! This week we have a great interview with Mike Arentz. 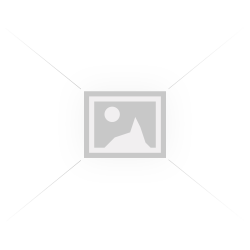 Art Director at WTEN in Albany, NY and 3D Invigorator PRO power user. Find out how he got to where he is, as well as the key lessons he thinks every new designer should know. How did you get your start in Motion Graphics and end up at WTEN? My brother and I actually do the same thing for a living, only he's older and helped me get my first job at a station in Providence, RI. That job was mostly still news graphics work, but it led me to my second station in Hartford, CT where I began making motion graphics every day. After several years in Hartford I eventually landed an Art Director position in Albany, NY. Motion graphics work is my main responsibility in this position. 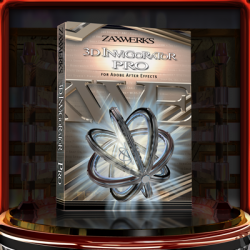 I've been using Zaxwerks 3D Invigorator Pro since college and I've convinced each station I've worked at so far to purchase it. What is a typical day like at WTEN? I start my day working on any ongoing projects or start work on new projects, depending on the deadlines. New projects come in throughout the day and, if urgent, they’ll take priority. A typical day is spent making still and animated graphics for our News, Web, Sales, Promotions and Commercial Production departments. I use 3D Invigorator almost every day. I usually start by creating original artwork in Adobe Illustrator, opening the artwork in 3D Invigorator inside of After Effects, animating it for commercials and promos, and exporting layered Photoshop files for use in print and web work. Almost every project ends up being an entire package or mini campaign. Can you tell me a little about the types of work you are expected to produce? I make still graphics for Sales and Web departments, including various ads and sponsored contest graphics. Animated graphics for News, Promotions and Commercial Production departments, including news franchise opens, dynamic-looking teases for news stories and special effects and compositing for local commercials. Occasionally, print work too. I haven’t had much problem with inspiration. I can picture the artwork as it's being requested. When the inspiration starts to run dry, I like to watch demo reels and software/plug-in tutorials to get the ideas going. I've never blatantly copied an idea, but people have requested copycat projects. So I have to push the design in my own direction to make it original. It’s more fun that way. How do you create content fast enough to make deadlines? I've always been rather efficient. I started using Photoshop in middle school and I got all of the lens flares and difference clouds stuff out of my system pretty early. I was a Photoshop expert by the time I graduated high school. I use my own skills along with time-saving workflows to create some pretty great stuff on a short turn around. One way I do this is to use 3D Invigorator instead of our expensive 3D software package at work. Since 3D Invigorator is part of After Effects, I never have to leave the main program. I use Illustrator to create vector artwork and Photoshop for textures and materials, then I can stick to After Effects for the rest of the project. When changes are needed, I can simply launch After Effects and make changes to the project quickly. This is largely due to 3D Invigorator using the same keyframe system that After Effects does. It's super simple and efficient. Are there any key lessons you could pass on to new designers? Stand out! It's a saturated field. Especially in very competitive markets like NYC, Chicago, Los Angeles and San Francisco. Learning After Effects is important, but every student learns After Effects. Take the time and learn plug-ins and take your work to the next level. Plug-ins will get you noticed by that first employer. Also, be confident. That's definitely easier said than done, but your confidence shows in your work and your confidence alone might be enough to impress an employer enough to offer you that first job. ALSO don't be afraid to move for a job. I'm originally from Pennsylvania and I've been moving around for years. I can't tell you how many friends and former classmates I know that regret staying in their hometown forever. There are a lot of exciting creative opportunities out there. Explore!